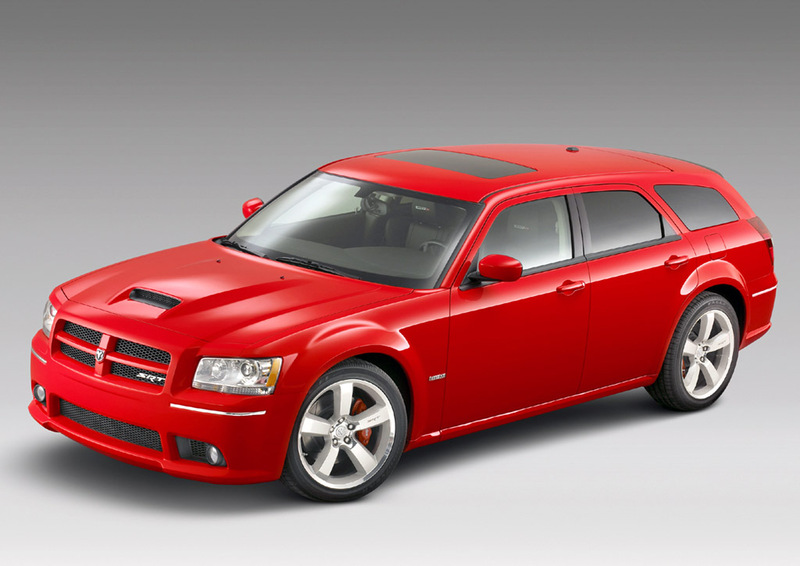 Dodge to Build Magnum Replacement? When Dodge introduced the Magnum back in 2004, I was pretty torn about it. The idea of there being a full-size wagon that wasn’t in the premium segment was really cool. The downside? Well, it was made by Dodge and that meant it was going to be about as good as Michael Jordan playing baseball. Not to mention it didn’t really look all that great. The Magnum’s time was short lived on this earth as it was discontinued in 2008. But it may be making a return. Ralph Gilles, president of the SRT division at Dodge, recently hinted to Automotive News that a successor is in the works. While he didn’t come right out and say it, he did mention that he was probably the biggest fan of the Magnum SRT-8 (which made an impressive 425 horsepower) and was sad to see it leave. But now since Chrysler was bought out by Fiat, there are many more wagon aficionados within the company, many of whom are eager to see the return of some sort of large wagon like Magnum. When asked if that meant a Magnum successor Gilles replied, “stay tuned, great things are coming”. As cryptic as that response was, it does seem to bode well for wagon lovers, of which I self-identify as. If Dodge does make a Magnum replacement, it will likely be 10 times better than the one before it since Dodge is now starting to make credible product -better interiors, better styling, better handling and the like. And with Fiat at the reigns you can bet that there will be room for perhaps smaller wagons down the line if the rumoured Magnum successor is well received. So, I say go for it. The new Durango (which was rumoured to be called the Magnum before it debuted) would make an excellent large wagon if it were lowered to an acceptable height. What do you think? Should Dodge take another stab at the wagon market?